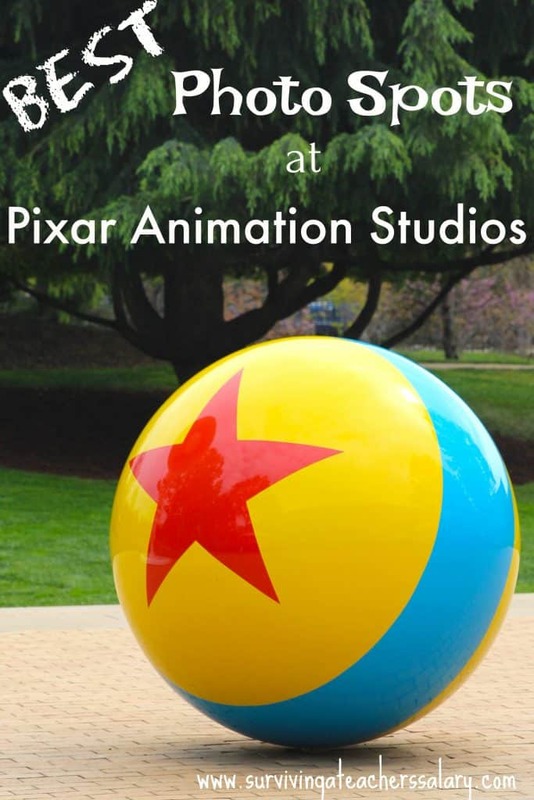 I visited Pixar Animation Studios as part of a Disney Pixar press event. Where to even begin?! Visiting Pixar Animation Studios was an AMAZING experience that I will never forget. I wish I could have taken you with me, but I’ll just have to take you on a photo tour instead. 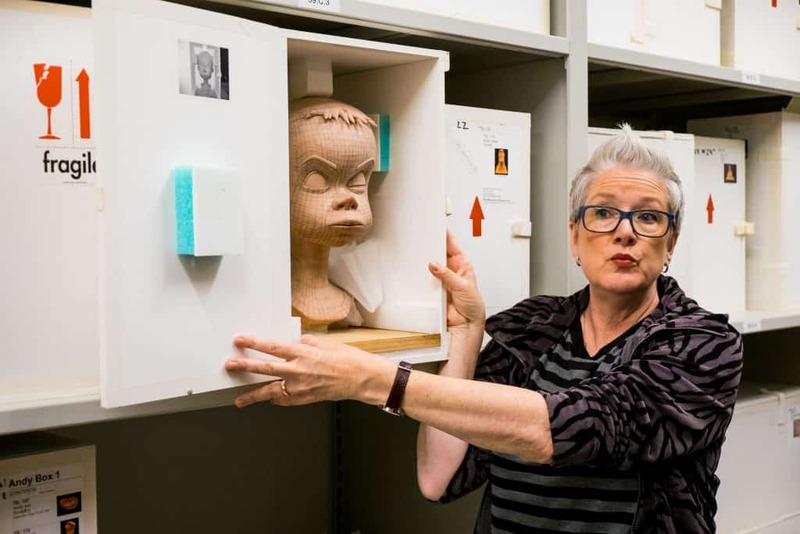 Let me share with you a special adventure that not many people get the chance to see – an exclusive look inside of the top secret Pixar Archives. I learned so much about the history of Pixar and animation, the process of making an animated movie, and met the creators behind some of Pixar’s popular films and shorts. Come on let’s go! 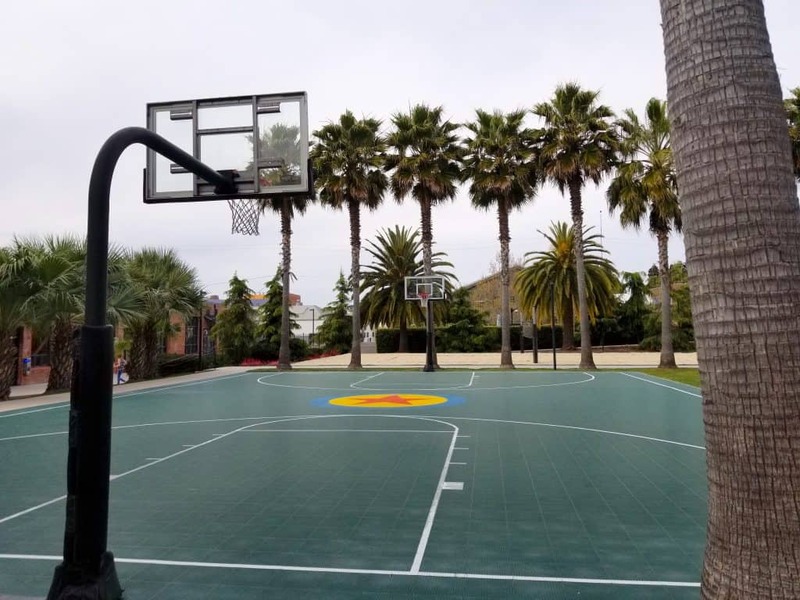 Even the roads and sports courts have Pixar logos on them! When you leave campus you drive over the Cars 3 logo! PLUS I got to visit the TOP SECRET Pixar Archives! NO KIDDING! I can’t tell you anything about the outside of the building, what it looks like or where it’s located BUT below I’ve got some Pixar approved photos to share with you below! 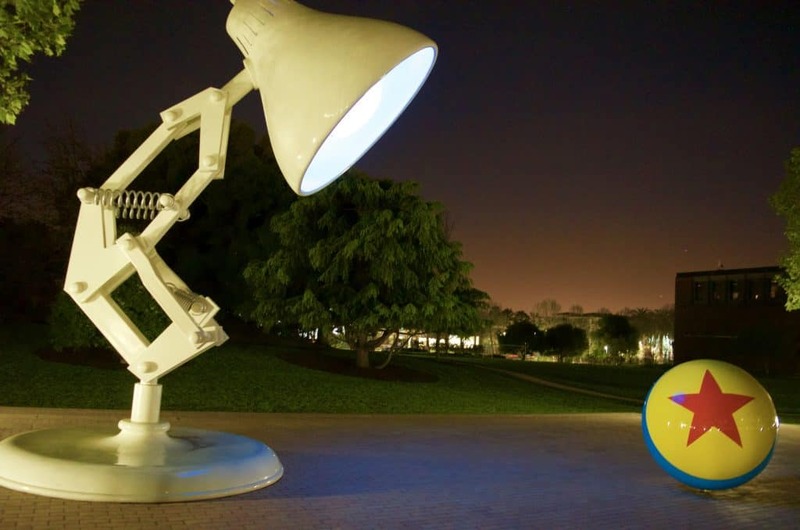 This iconic Luxo Lamp and Pixar Ball are of course gorgeous during the day too! 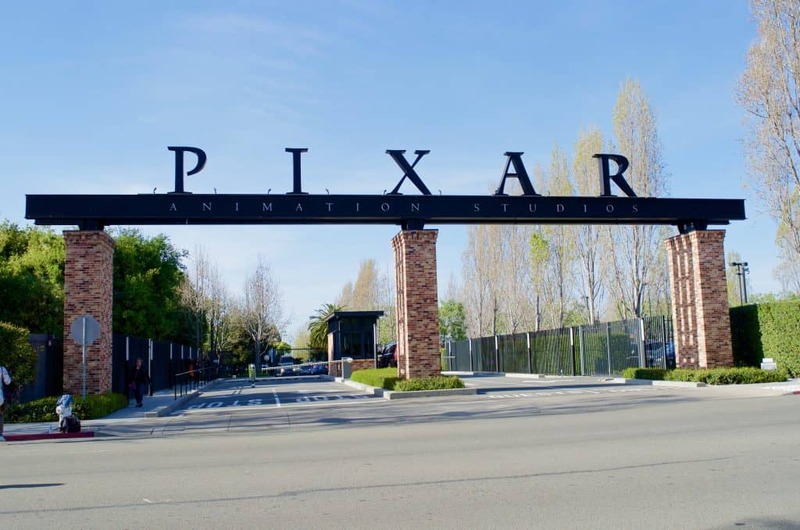 Did you know that all of Pixar’s films are in the highest 50 grossing animated films of all time? And the Luxo Lamp has been there through it all! It makes a FANTASTIC spot for selfies, photo opps and group photos! You can see in my post about the best photo spots at Pixar some more daylight photos with these iconic statues. 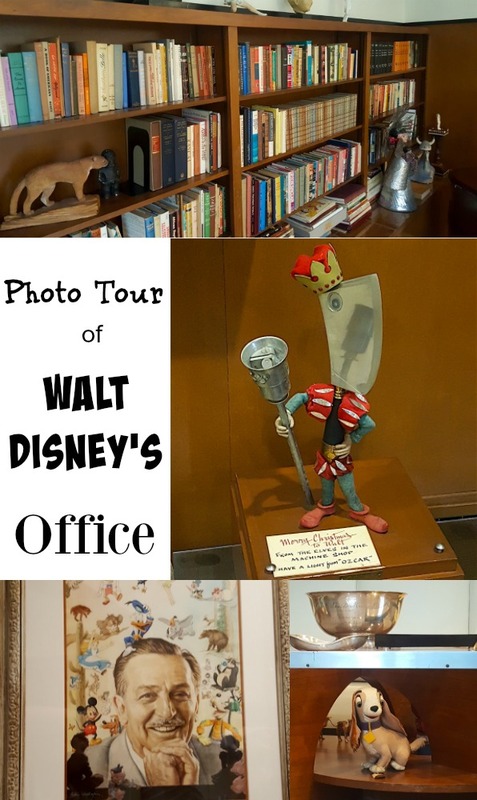 There was a good portion of my trip to Pixar Animation Studios that I was not allowed to photograph, but thankfully the fabulous Pixar photo crew provided me with some images that I can share with you to fill in the gaps! Because I was there for the Incredibles 2 Press Event the gallery is full of original Incredibles 2 art, drawings, and clay characters! 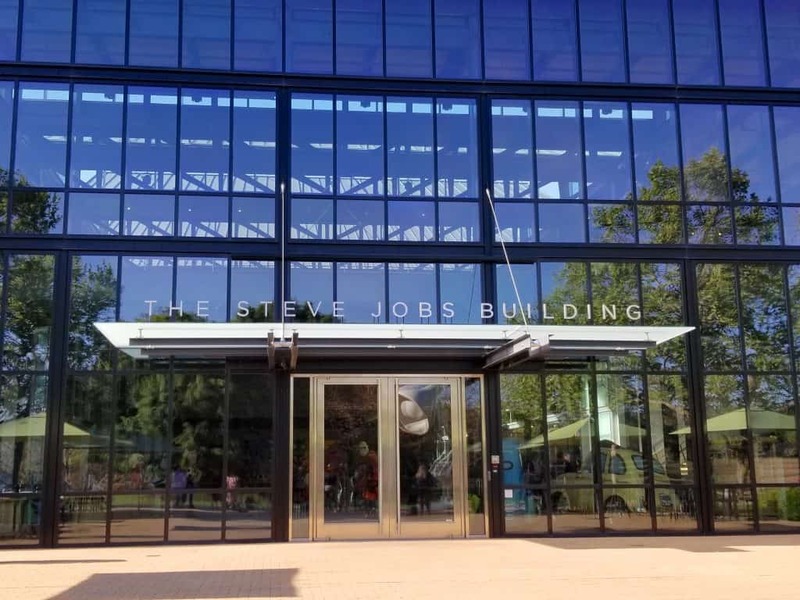 The Steve Jobs building is amazing and where the main hub of excitement happens on the Pixar Animation Studios campus. Designed by Steve Jobs himself it is airy and bright with no shortage of windows. In fact he designed the building to feel like the nature outdoors are creeping indoors. The bricks from the walkway outdoor stretch right into the atrium past the floor to ceiling windows. When you walk into the Steve Jobs building it is nothing short of stunning. From the VAST open atrium to the sleek design of architecture the entire building is centered around the atrium, or common area. 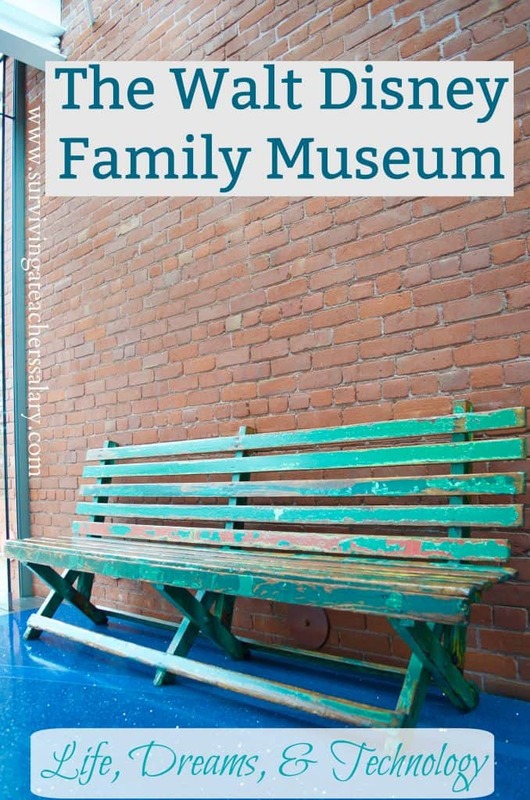 Restrooms, couches, lunch time – the community meetings of all sorts happen there right in the middle of the building. 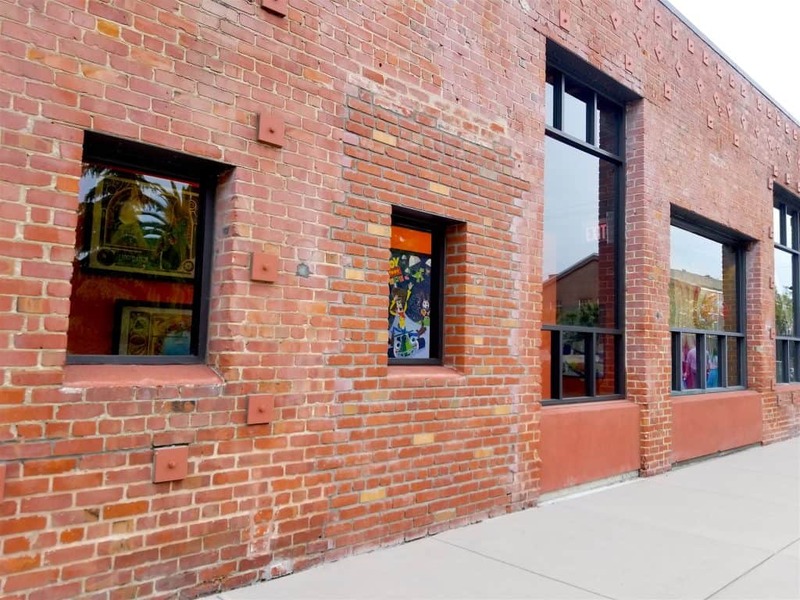 Look at how the light bounces off of these hanging art displays. They were part of a fundraiser going on inside of Pixar. But you’ll also notice the edge of a comfy couch, a ping pong table right in the front of the lobby, and an awesome Incredibles art piece! 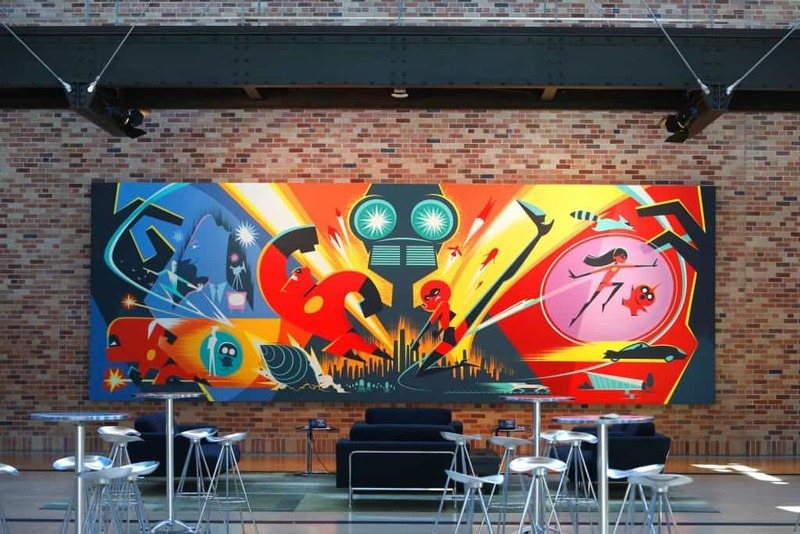 Perhaps one of my favorite pieces of art in the building was this incredible eye catching concept art from the Incredibles 2 film! WOW!!! 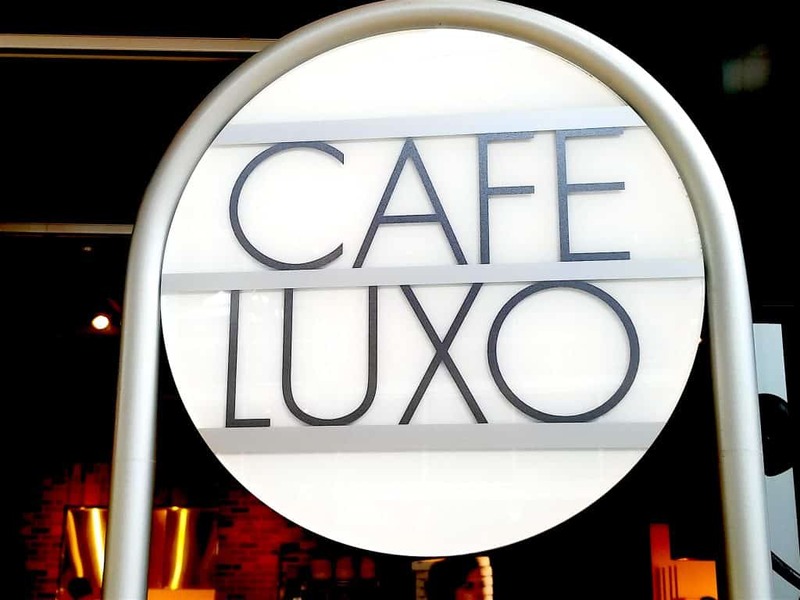 When you’re ready to cozy up for a work meeting or talk shop over lunch the Cafe Luxo is right there in the atrium. How awesome would it be to eat here at work? I absolutely love that there is such a strong central community right in the middle of the building when you walk in. 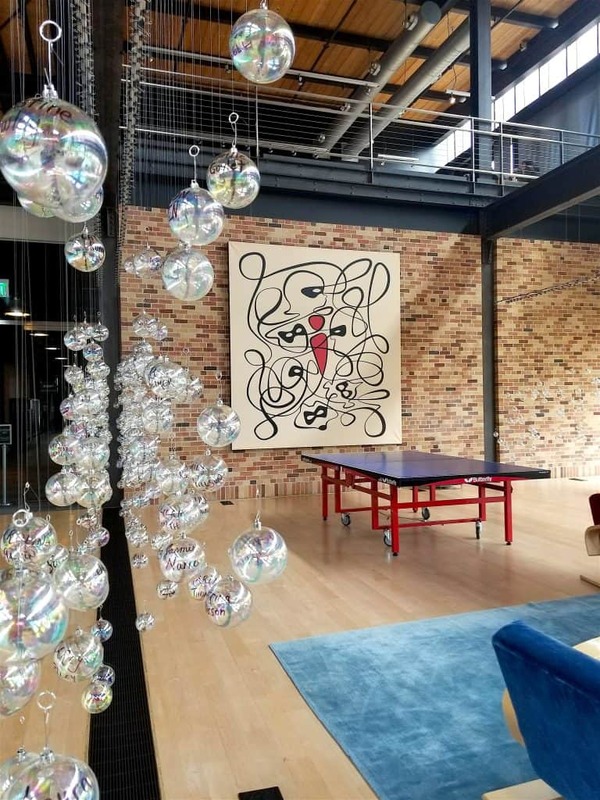 It does just what Steve Jobs intended – for people to get their heads out of their offices and cubicles and interact with other people – all in one central location. Would you believe that there is even an ENTIRE room JUST for cereal and milk?! 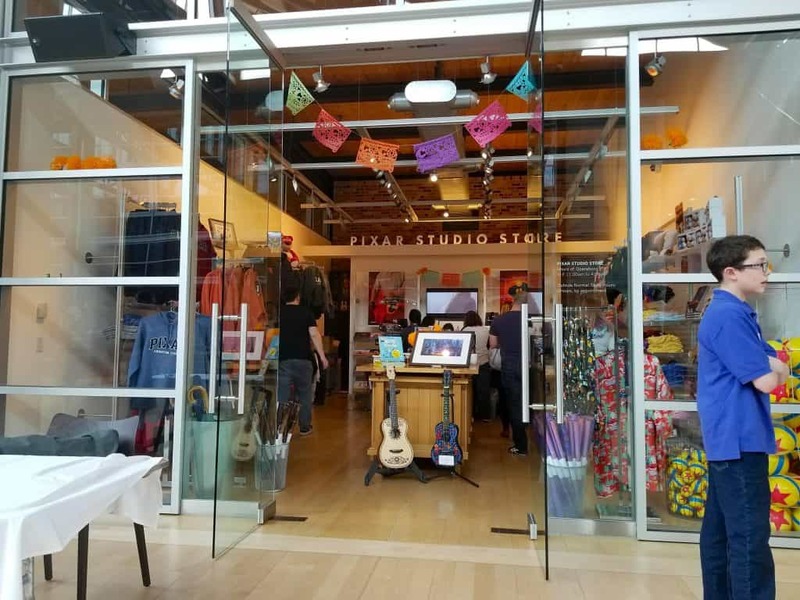 And perhaps the most exciting thing for visitors – a Pixar Studios Store to shop at!!! This is a one of a kind store that you absolutely want to save up for! From exclusive t-shirts to hats, animation notebooks, books, signed art work and all sorts of other incredible Pixar exclusive gifts. 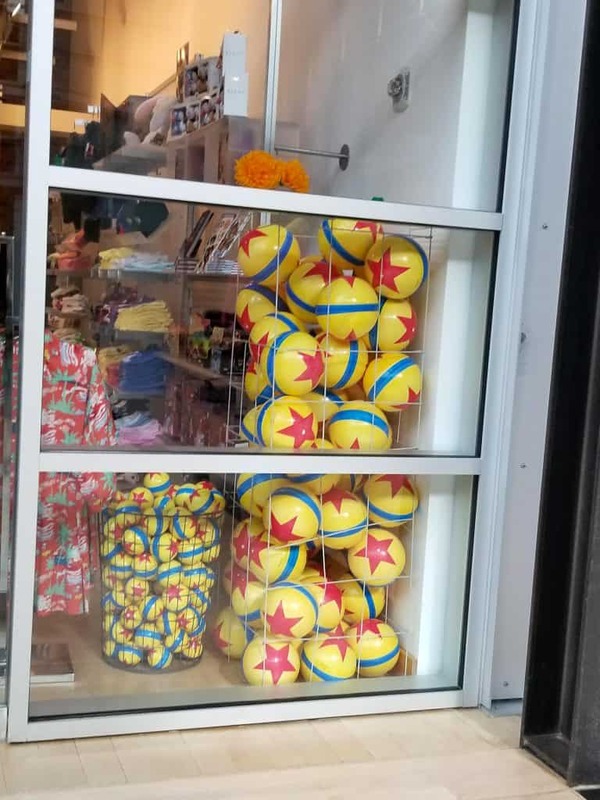 Total geek out moment when I saw this pile of Pixar balls!! I bought my daughter a large one, and myself a small one. I also picked up my kids some exclusive Pixar limited edition trading pins, and myself a Pixar Animation Studios coffee tumbler and water bottle. And of course a few Pixar sticks for my laptop. 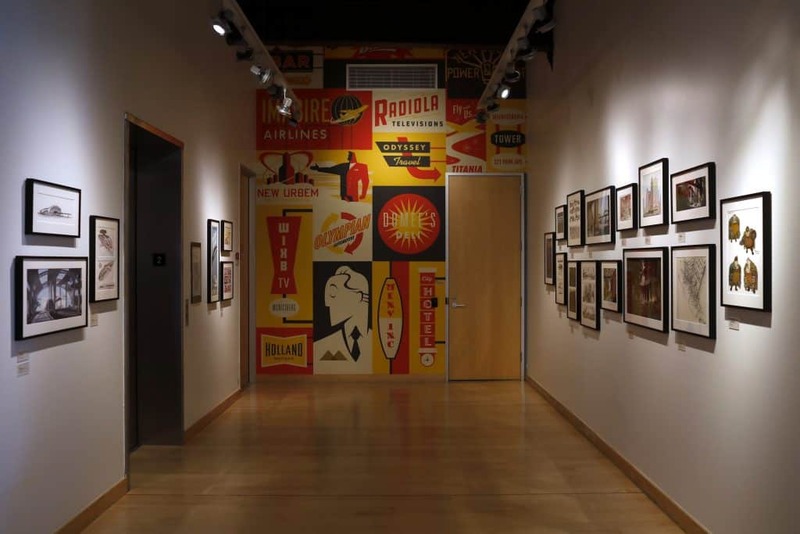 Truly the hallways of the Steve Jobs Building at Pixar were no less stunning. Upstairs lined in the hallway were art pieces, original drawings, concept art, and even clay sculptures from the current or upcoming film. When I toured the halls I got to browse through all of the Coco art. Now the hallways are lined with originals and art from the Incredibles 2. 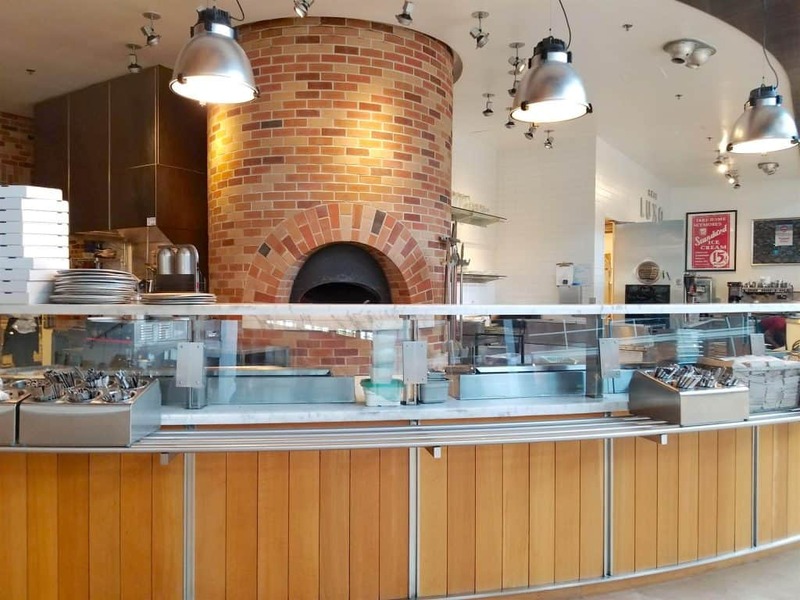 Although I didn’t get a complete tour of every spot on the Pixar Animation Studios campus it was easily visible that there were a lot of great spots for exercise, community gatherings and networking within the company. Check out that Pixar ball on the middle of the basketball court! If you look carefully you can see a sand volleyball court behind it. 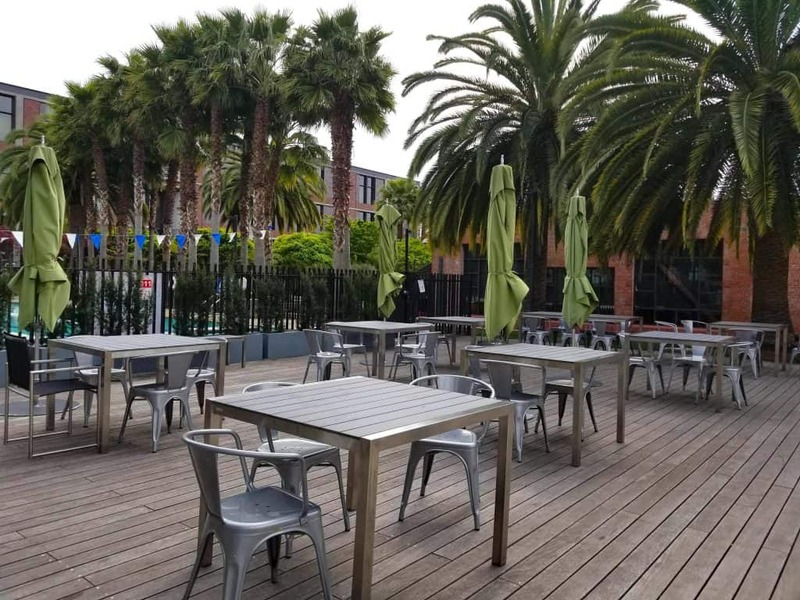 Because I love to be outside so much and California weather is so fabulous I just love this wooden outdoor area to eat at! 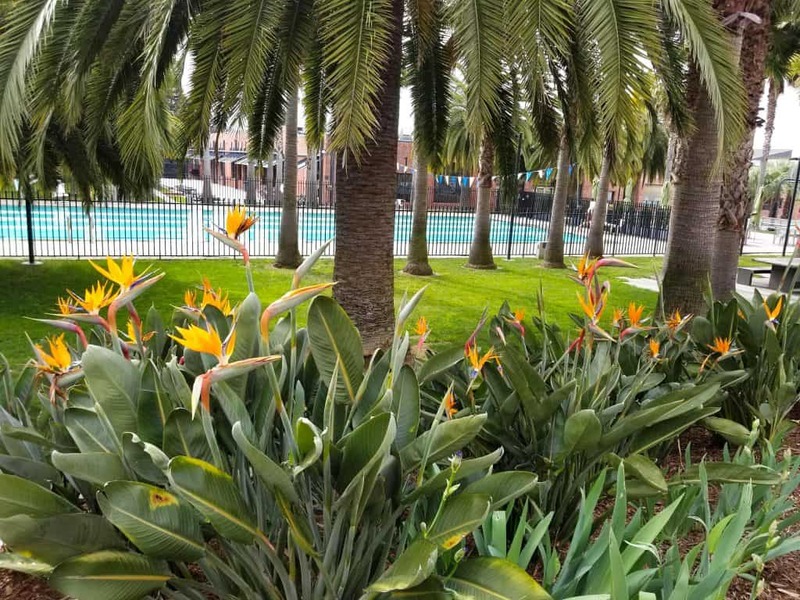 And YES – there’s even a pool on the Pixar Campus! How amazing! I have to tell you guys – I don’t even know what this building is but I fell in LOVE with it as we were walking past because of the historic brick look. 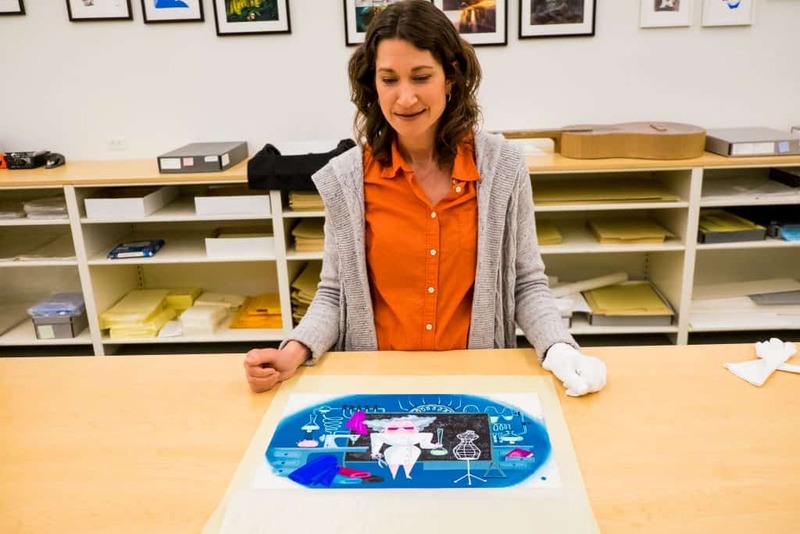 Stepping into the Pixar Archives felt like I was being ushered into greatness. Long hallways straight out of a movie. Top notch security. Humidity and temperature controlled. No photos allowed. 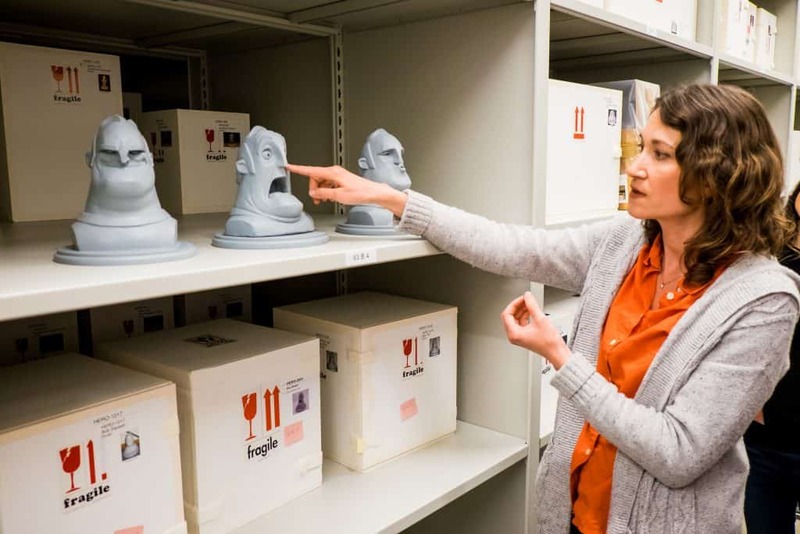 Rows and rows and rows and rows of moving vaults and shelves filled with priceless clay animations and art work. I felt like I was walking straight into an action film. But even better! THIS is where all of the Pixar magic is stored. 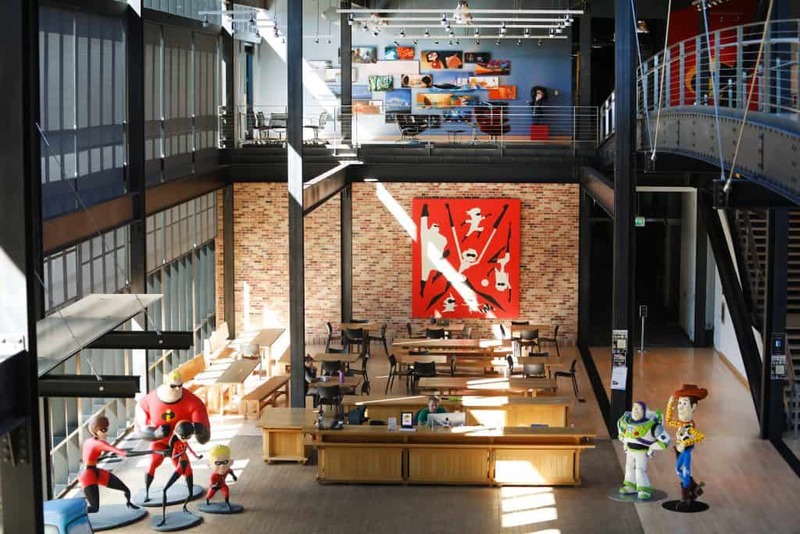 The entire history of the company was inside this Pixar Archives Building and it was such an honor just to walk through it! This clay sculpture of Sid from Pixar’s Toy Story is particularly interesting. If you look very closely you can see hand drawn lines in a graph pattern across the sculpture. Before the current technology was available these lines were drawn to give the computer software a frame of reference in order to manipulate the animation. Isn’t the detail amazing?! What I REALLY loved is finding out that all of these Pixar clay sculptures are made with Sculpey clay which is the same brand of clay my son uses to make his little creations at home! It just reminded me that you really can make something out of anything! Here you can see the clay sculptures for Bob, from the Incredibles. This shows the range of emotion that Bob COULD make and what that would look like. 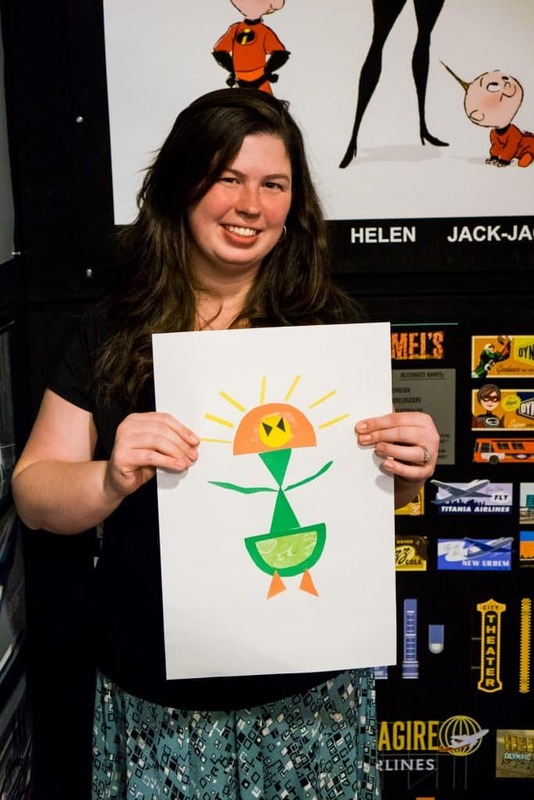 One of the fascinating parts of Pixar showed me the creative process by which Pixar’s artists and animators come up with these amazing characters that we know and love today. Above you can see an original concept that was created for Edna Mode. When the Pixar team was still deciding exactly what Edna Mode’s part would be in the Incredibles there was an original idea of Edna Mode being an older mad scientist. They imagined her in a dark laboratory full of science equipment everywhere! Here you can see a series of superhero collages made by an artist who literally cut out shapes and colors from old magazines and put them together to inspire new superheroes! They were just amazing! 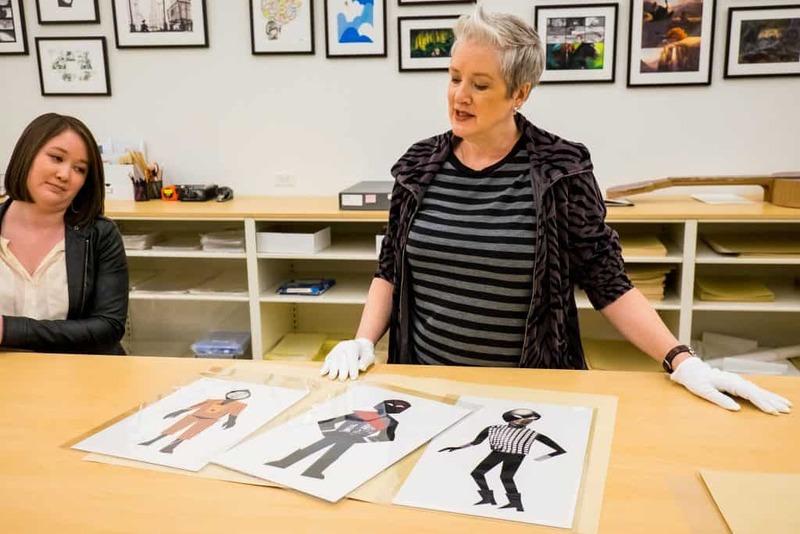 As if my trip to Pixar wasn’t amazing enough, I had the opportunity to make my OWN superhero in one of the Pixar art rooms. After sifting through piles of paper and glue I grabbed some scissors and quickly began my creation. I was on quite a time crunch which pushed out my creation – meet Ms. Sunshine. I was inspired by the bright airy natural feeling inside the Steve Jobs building and she is my nature-inspired superhero! Not only can her arms grow quickly into long vines to wrap around villains or poles but her head emits light – sunshine to be exact. This can temporarily blind villains and unsuspecting characters. Grab a pile of magazines and paper – try your hand at creating your own creative super hero! Follow Incredibles 2 on Facebook, check their website, or follow Disney/Pixar on Twitter and Instagram!